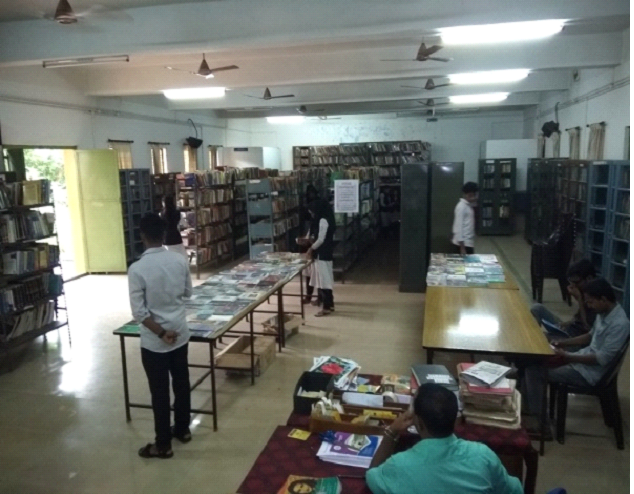 The library of M.E.S Kalladi College started functioning in the very first year of establishment in 1967, in the early years it housed in a room in the main block, in 1990 the library own an individual building. 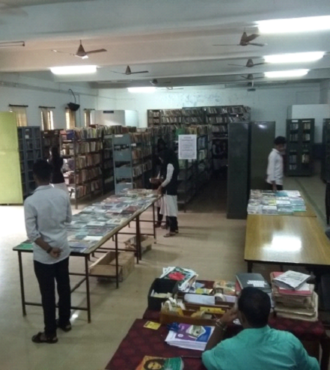 Now the library has total plinth area of 5700 square feet with centralized air condition. The library have a collection of 40528 books,40 subject journals, 12 Magzines and 6 newspapers. The college has more than 2500 students with 115 faculty members. The library fully automated with RFID Technology, All members of the college library provided a RFID Tagged ID cards. It is the very first academic library in the district and third in the state with these facilities. Through Institutional membership more than 6000+ e-journals and 31,35,000+ e-books can be accessed under the project entitled “National Library and Information Services Infrastructure for scholarly Content (N-LIST)” of INFLIBNET Centre, Ahemdabad. E-learning area is equipped with 25 systems to access the e-resources. Knowledge resource centre has Wi-Fi connectivity which enables the users to use their own laptops within the library. Libraries are engaged in learning and discovery as essential participants in the educational community. We develop, organize, provide access to and preserve materials to meet the needs of present and future generations of students and scholars. The library will be the hub and academic town square of the college by being an essential component of the academic and creative life of the institution. We will excel in: collecting, preserving, and providing access to the best scholarly and educational resources; providing high quality, innovative services; and creating a welcoming and comfortable physical environment. We will foster an atmosphere that encourages diversity, excellence, and continued growth in finding ways to surpass our own high standards. Circulation, entry and exit of users and stock verification through RFID technology. Selective Dissemination of Information (SDI) service: Teachers and research scholars can register their topic of interest in library; they will get personalised e-mail alerts about the new developments in their area. In Kerala P N Panicker is known as the Father of the Library Movement in the Indian state of Kerala. The Government of Kerala acknowledged his contributions and ordered that 19 June be observed, annually, as Vaayanadinam (Day of Reading) . Every year college library organize activities to honor his contributions to the cause of literacy, education and library movement. Readers forum is a vibrant body under the college library to inculcate the reading habit of students. Reading books open the door to a vivid imagination, expanded vocabulary and the ability to succeed academically. It has been proven that those who have a reading habits shown signs of advanced intelligence level. 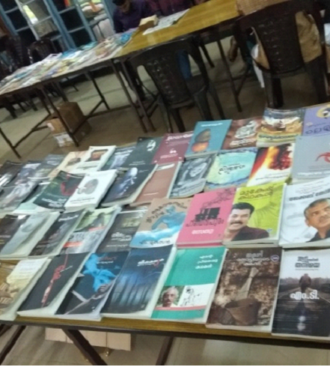 The forum initiated in the academic year 2013-14, the interested students are registered in the college library.The members of the reader’s forum limited to 30 students, and they can borrow to extra books from library. The forum conducts monthly book review sessions in which students are free to discuss the books they read. For each session teaching faculties from various departments are invited to air their views and impressions in an academic ambience. The forum inspires the students to read the new books and present them and take part in healthy debates. Library at the Institute offers an orientation program to the students and others in the beginning of every academic year. Through this program, an effort is made to familiarize every new member with the resources, services, facilities etc. offered by the Library and its use policies. A workshop conducted for teachers and students in the college “Plagiarism and Academic Integrity “ A session by Dr Abdul Azeez T.A, University Librarian, Calicut University. The major aim of an academic library is to facilitate the needs of the student community and to develop knowledge and skills for their future and make them able to be part of creative and innovative society. For the career and academic growth of students; library have a special collection in which the carrier oriented books and journals are provided. The library has a Webster’s Dictionary (35 Volume) exclusively for Blind students with Braille, it is a rare document and preserved in the library. 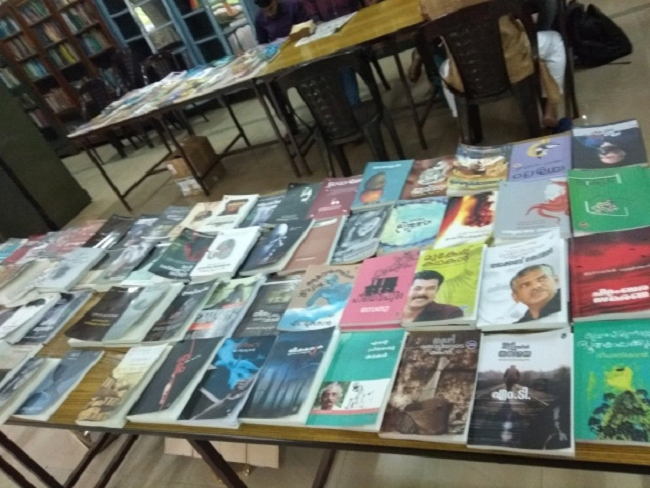 It also have a rare collection of Malayalam books published by Kerala basha Institute, in which the prominent books in different subjects such as science technology and social science in different languages are translated to Malayalam and make them available to a large community who doesn’t familiar with the foreign languages. The major reports published by both state and central government related to educational aspects are available in the Institutional repository of the college library. The Palm leaf engravings of Rig-Veda also available in the library. Electronic resources (or e-resources) are materials in digital format accessible electronically. e-resources are electronic journals (e-journal), electronic books (e-book) online databases in varied digital formats are maintained in the library. Using D Space an open source institutional repository library aid the management and dissemination of the increasingly copious amount of scholarly electronic resources produced by academics.